So what does a decade of iPhone innovation look like? 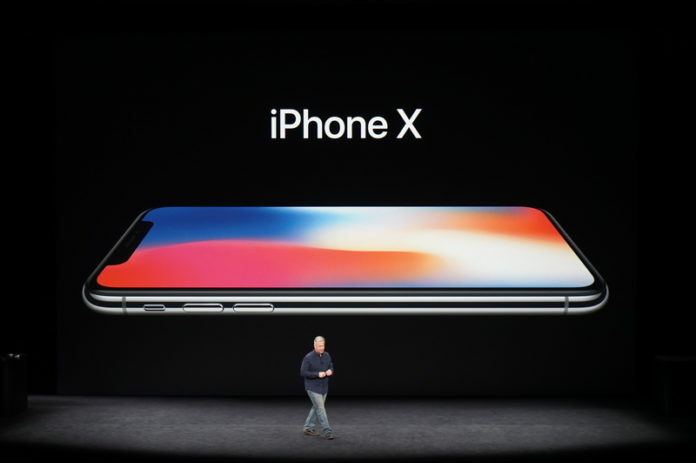 iPhone X introduces a revolutionary design with a stunning all-screen display that precisely follows the curve of the device, clear to the elegantly rounded corners. 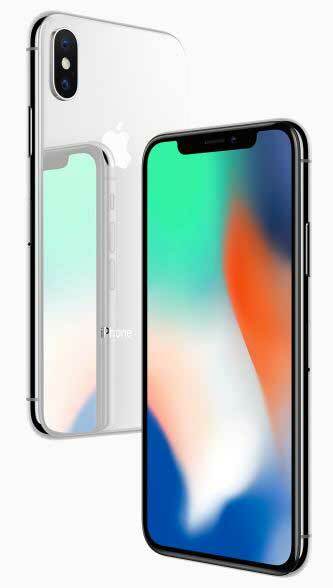 The all-glass front and back feature the most durable glass ever in a smartphone in silver or space gray, while a highly polished, surgical-grade stainless steel band seamlessly wraps around and reinforces iPhone X. 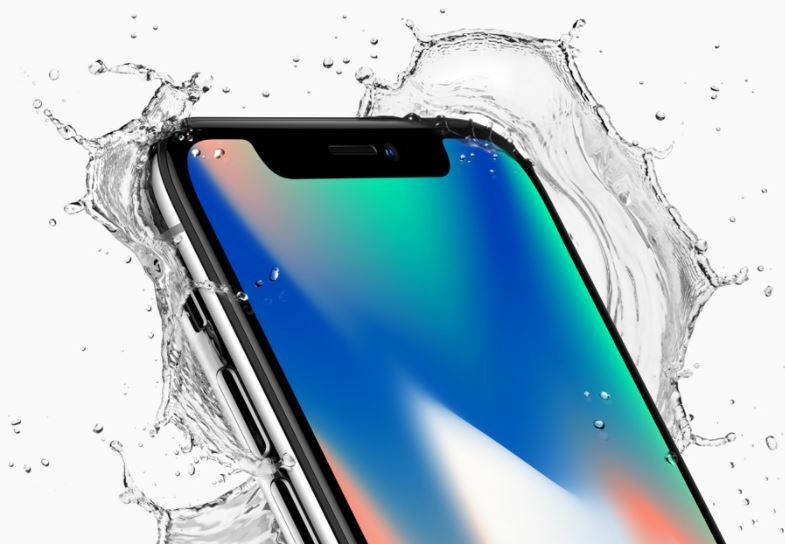 Following the current trend in smartphones, Apple has done away with the bezels on the iPhone X, offering an edge-to-edge 5.8-inch display. 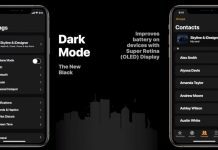 In fact, Apple is upgrading quite a bit in that department, offering an OLED display for the very first time, calling it the Super Retina Display. This brings with it all the standard benefits of OLED, including more accurate colors, better image uniformity across the screen, etc. 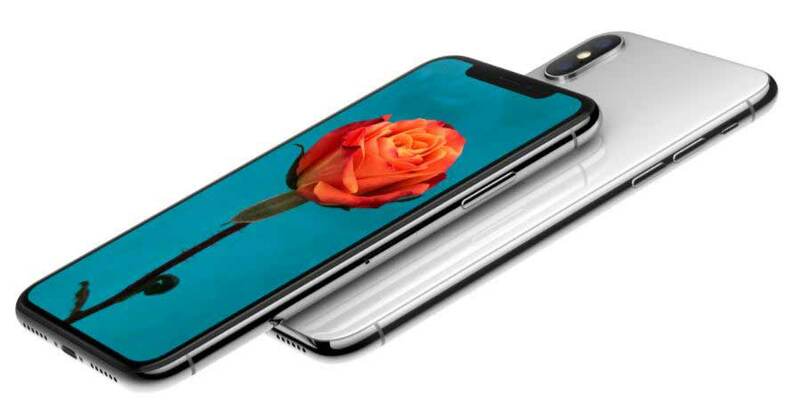 The iPhone X Super Retina display supports 2046×1125 resolution, with 455 PPI, and HDR in both Dolby Vision and HDR. 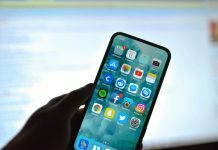 The company is reportedly paying around $125 per panel, which is part of the reason for the reports of a more expensive iPhone. 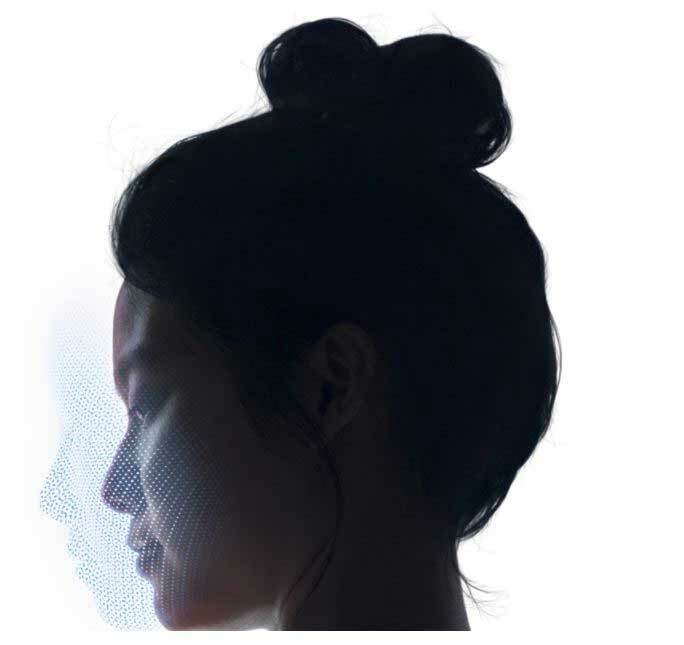 Face ID revolutionizes authentication on iPhone X, using a state-of-the-art TrueDepth camera system made up of a dot projector, infrared camera, and flood illuminator, and is powered by A11 Bionic to accurately map and recognize a face. 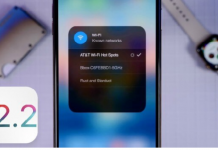 These advanced depth-sensing technologies work together to securely unlock iPhone, enable Apple Pay, gain access to secure apps and many more new features. Face ID projects more than 30,000 invisible IR dots. The IR image and dot pattern are pushed through neural networks to create a mathematical model of your face and send the data to the secure enclave to confirm a match while adapting to physical changes in appearance over time. 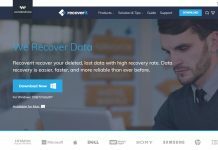 All saved facial information is protected by the secure enclave to keep data extremely secure, while all of the processing is done on-device and not in the cloud to protect user privacy. Face ID only unlocks iPhone X when customers look at it and are designed to prevent spoofing by photos or masks. 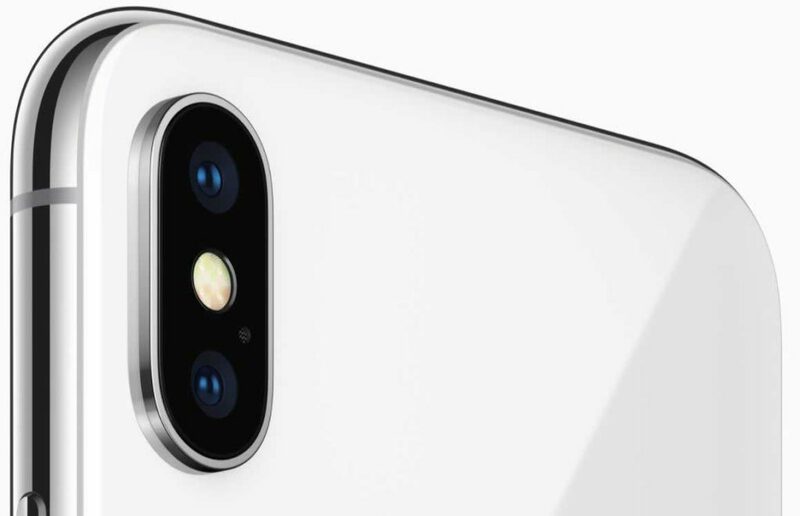 As far as cameras are concerned, the iPhone X is about as locked and loaded as one can get. The rear camera features a 12-megapixel sensor, with dual-lenses at f1.8 and f2.8 apertures (which is brighter than the 7 Plus telephoto). It comes with dual-image OIS quad-LED TrueTone flash. Portrait mode with Portrait Lighting on both the front and rear cameras brings dramatic studio lighting effects to iPhone and allows customers to capture stunning portraits with a shallow depth-of-field effect in five different lighting styles. The front-facing camera is powered by that True Depth camera system that supports FaceID. 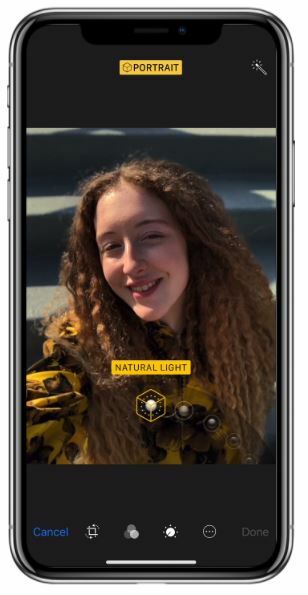 But the big news here is that Portrait mode and Portrait lighting is now available on the front-camera. The cameras on iPhone X are custom tuned for the ultimate AR experience. Each camera is individually calibrated, with new gyroscopes and accelerometers for accurate motion tracking. The A11 Bionic CPU handles world tracking, scene recognition, and the GPU enables incredible graphics at 60fps, while the image signal processor does real-time lighting estimation. With ARKit, iOS developers can take advantage of the TrueDepth camera and the rear cameras to create games and apps offering fantastically immersive and fluid experiences that go far beyond the screen. The TrueDepth camera brings emoji to life in a fun new way with Animoji. Working with A11 Bionic, the TrueDepth camera captures and analyzes over 50 different facial muscle movements, then animates those expressions in a dozen different Animoji, including a panda, unicorn, and robot. Available as an iMessage app pre-installed on iPhone X, customers can record and send Animoji messages with their voice that can smile, frown and more. 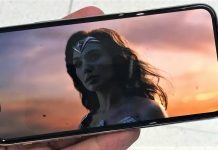 A11 Bionic, the most powerful and smartest chip ever in a smartphone, features a six-core CPU design with two performance cores that are 25 percent faster and four efficiency cores that are 70 percent faster than the A10 Fusion, offering industry-leading performance and energy efficiency. 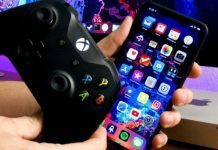 A new, second-generation performance controller can harness all six cores simultaneously, delivering up to 70 percent greater performance for multi-threaded workloads, giving customers more power while lasting two hours longer than iPhone 7. 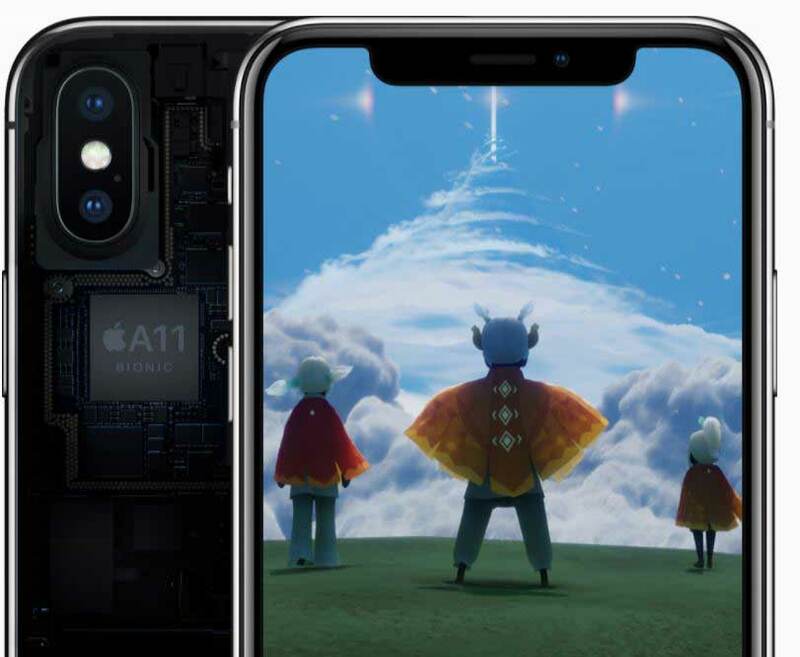 A11 Bionic also integrates an Apple-designed GPU with a three-core design that delivers up to 30 percent faster graphics performance than the previous generation. All this power enables incredible new machine learning, AR apps and immersive 3D games. 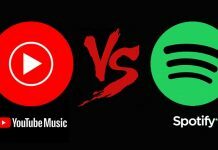 Plus, battery life is two hours longer than the iPhone 7, with most of the improvement coming by way of software enhancements. 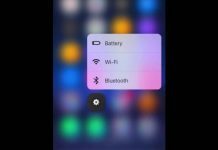 But because Apple likes to take things to the next level, the wireless charging on the new iPhones is coming with a new accessory called AirPower. It’s a larger mat that lets users charge their iPhones, Apple Watch and AirPods all at the same time. 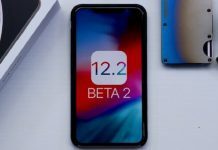 The iPhone X is packed with the new A11 Bionic processor: 64-bit design, six cores, two high-performance processors that are 25 percent faster than the A10 and 4-high efficiency cores (two more than the A10) that are 70 percent faster. The GPU is 30 percent faster. The iPhone X starts at $999 for the 64GB model, with a larger 256GB option. Pre-orders begin on October 27 and regular sales begin November 3, just in time for the Holidays.